Now, just type in the names you want us to Braille on your cards. Please enter only first names, as it's best to keep each one to eight letters or less. And after each name, just tap the Enter key. Name cards have both raised print and Braille on them. Customized cards measure 3" by 5". A great teaching tool to get the whole class involved. Measures about 5 in by 3 in. Package Weight: about 2.8 ounces. Are you a teacher who's doing a project on Helen Keller, Louis Braille, or blindness in general? If so, you're looking for that perfect unusual something that'll really capture your students' imagination (without costing a small fortune), right? Well, we've got just the thing! 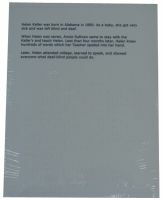 For just $7.95, we'll take the names of everyone in your class and Braille them on 3" by 5" index cards, so you can hand each kid a piece of paper with his or her very own name in Braille. Sound good? Wait; there's more! We'll also emboss each name in raised-print above the name in Braille, so your students can practice reading by touch even though they likely won't know the Braille alphabet. And, after all, what else would they rather read than their own name? 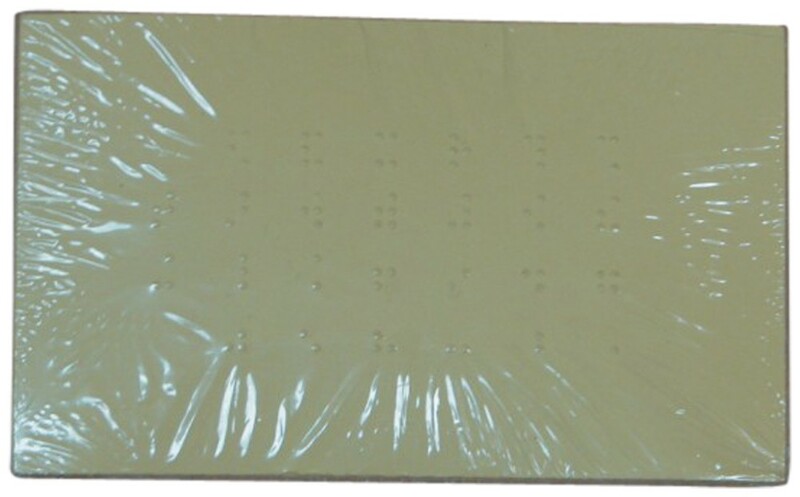 Don't worry; even though our Braille Name Cards are a custom product, we produce them right here at The Braille Superstore. In other words, your cards will be ready to go the same day you order them, so they won't delay the shipment of your box in the slightest.